1.UP TO 24 HOURS OF BATTERY LIFE FOR MULTI-DAY USE: A built-in 600mAh battery won’t allow your headphones power off, you can enjoy your world without noise at least 24 hours at Bluetooth mode, don’t need to worry the power shortage problem on the long travel. Mee’sport Bluetooth headsets can be used as wired headphone without battery consumption for unlimited playback. 2.ONE-KEY EASY OPERATION: All Function integrated on a button, just use this button to finish the call answer, Bluetooth pairing, power on and power off, volume control, song select. Easy to handle, skill eliminating. 3.ACTIVE NOISE CANCELLING TECHNOLOGY: Significant noise reduction for travel, work and anywhere in between. Advanced active noise reduction technology quells airplane cabin noise, city traffic or a busy office, which makes you focus on what you want to hear. 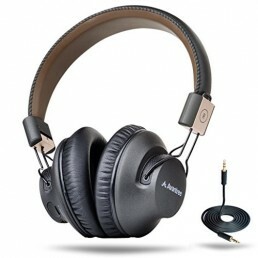 Provide you clear highs and deep lows for premium sound quality. hear your music better. They give the music you love deep, clear sound. around-ear fit you can wear all day long. and other Bluetooth devices within 33 feet. The wired mode: Used as a wired headphone with an audio cable. ear cushion is made of memory-protein materials. 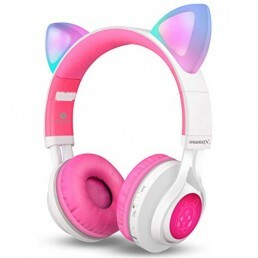 Up To 24 Hours Of Battery Life: A built-in 600mAh battery won’t allow your headphones power off, you can enjoy your world without noise at least 24 hours at Bluetooth mode, don’t need to worry the power shortage problem on the long travel. 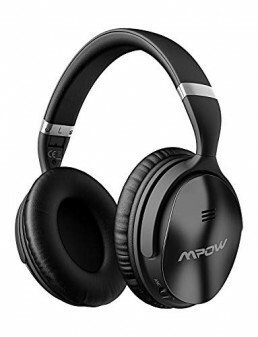 Mee’sport Bluetooth headsets can be used as wired headphone without battery consumption for unlimited playback. One-key Easy Operation: All Function integrated on a button, just use this button to finish the call answer, Bluetooth pairing, power on and power off, volume control, song select. Easy to handle, skill eliminating. Impressive Sound Quality: Meesport T3 is a wireless headphone features with large diameter aperture drivers and bulit-in high detail microphone. Wide frequency range reproduces precise deep base and high clarity sound. 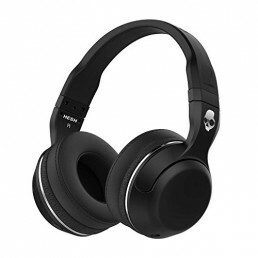 You can expect comfortable listening experience for both music playing or phone calls. Built To Stay Comfortable: The Memory protein ear cushions simulate human skin texture, ensuring lasting comfort. The adjustable stainless steel sliders and softly padded headband allows you to find the personalized fit without constraint and provide excellent durability. 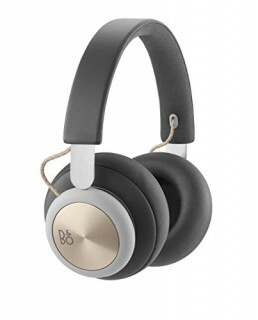 Travel Bluetooth Headphones With Carrying Case: Each pair of our headphones comes with their own travel-friendly storage/carrying case. What’s In the Box: Mee’sport T3 Bluetooth Studio Headphones, Carrying Case, Micro USB Charging Cable, 3.5mm Audio cable, User manual.